I used OSB for the sheathing. 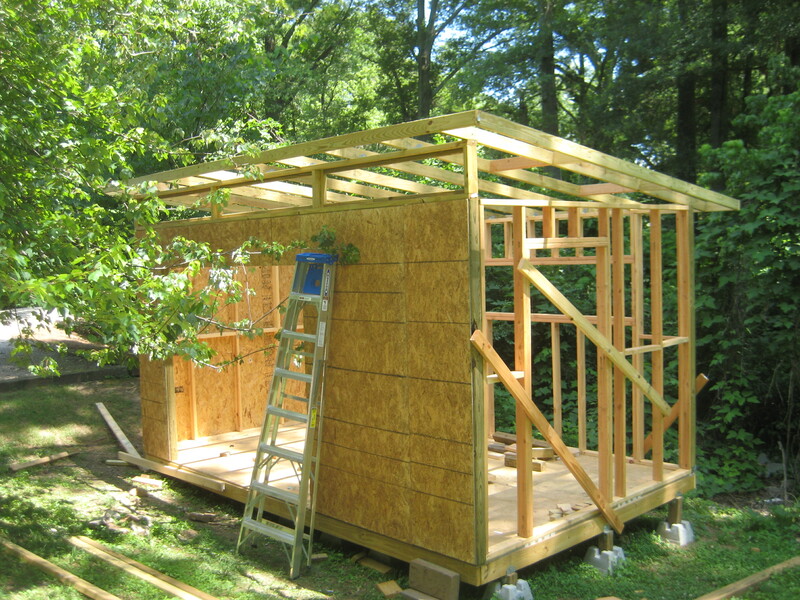 If I were to do the project again, I may try to secure the sheathing before I raised the wall. For the framing of the roof, did you cut birdmouths into the framing to sit flat against the window framing? Or is the board just connected with one of those twisted metal connectors that you sink screws into? I’m hoping to build almost this exact same shed in our yard in Atlanta, and your design is perfect. 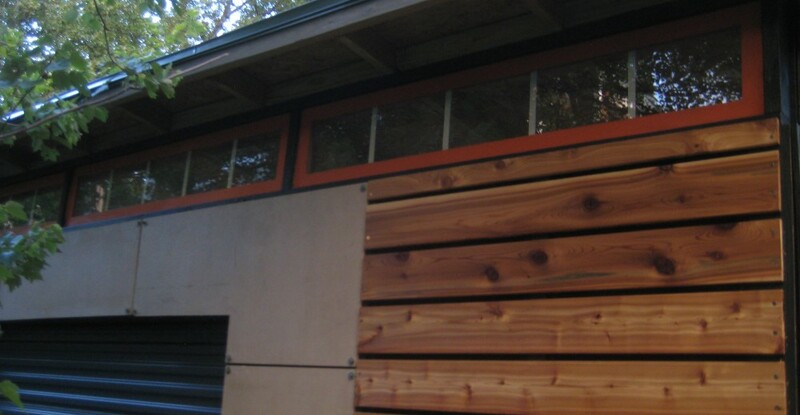 The combo of cedar and Hardi panels is fantastic. Also, what are the overall dimensions? 12×10?